From July 16-18, King County’s Tolt-MacDonald Park in Carnation, Washington will host the third consecutive Timber! Outdoor Music Festival. La Luz, TacocaT, Jon and Josiah (of The Head and the Heart), Shaprece, Cahalen Morrison & Eli West, Tomo Nakayama, The Hoot Hoots, Talkative, Gibraltar, Tom Eddy, Naked Giants, Grace Love & The True Loves, Emma Lee Toyoda, Recess Monkey, and more. 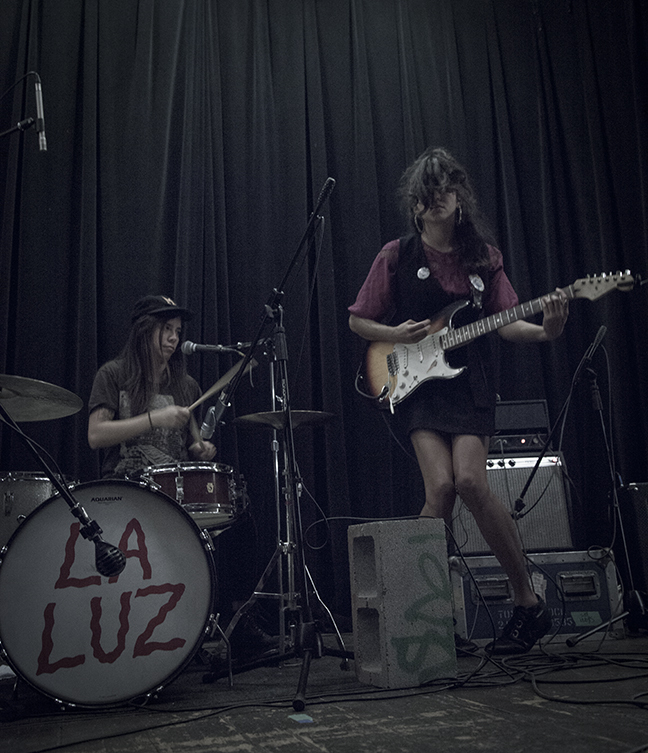 La Luz @ Washiington Hall, November 2014. Photo by Tori Dickson. Three-day passes are $65 and, on June 1, will increase to $75. Festival camping starts at $30 with several “premium accommodations” still available. Timber! is a family-friendly event, so children 12 and under attend for FREE! Families can also enjoy informative hikes with naturalists in the park, the Root Beer Garden in the Main Stage area, and kid-approved music on Friday and Saturday mornings! Throughout the weekend, the two primary stages of Timber! have programming that never overlaps. During the day, the Main Stage takes place in a bright meadow and the Campfire Stage is nestled among a forest of fir trees for optimal night shows. Like every Artist Home production, you can be sure to find a masterfully curated celebration of music in yet another wondrous, Pacific Northwest landscape. Timber! is the result of Artist Home partnering with King County Parks to ensure that, while you camp, kayak, swim, bike and hike in the Washingtonian nature it’s sustainable. Good lookin’ out Josh. Fixed it. Also: Do you know if “Cahalen” rhymes with “Van Halen?” Because that would be super cool if it did.